The first of 12 new Pendolino trains being built by Alstom for Italian operator NTV has been unveiled. 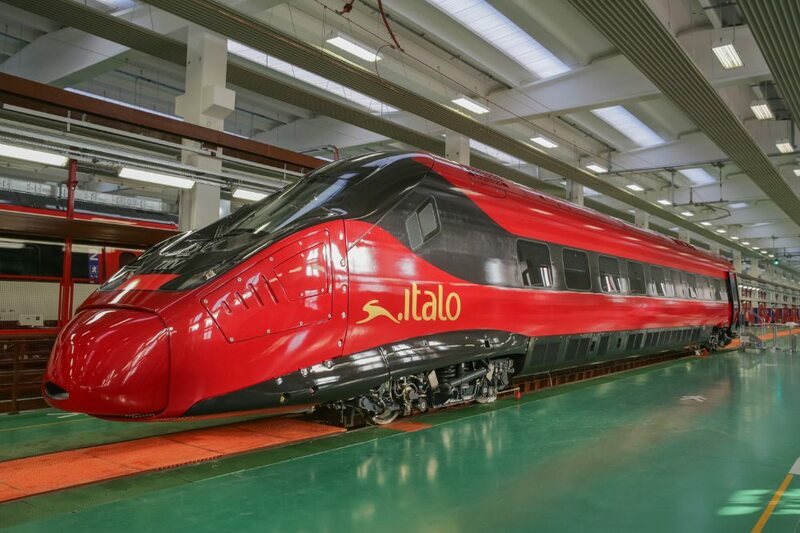 The new train’s impressive styling, in ruby red and bearing the golden hare logo of the company’s Italo brand, was shown off at Alstom’s Savigliano factory in Italy, current home of Pendolino production and where Virgin Trains’ latest acquisitions were manufactured. The 12 trains, due to be delivered by December 2017 and to go into service in March 2018, will add to Italo’s existing fleet of 25 Alstom AGV trains. Rated at 250km/h (155mph), the new seven-car, 187-metre-long trains can each accommodate 450 passengers and will allow Italo to operate new routes and services. Andrea Faragalli Zenobi, president of NTV, said: “Today is a great day for us. We are very proud to present these new trains that will enable us to grow.